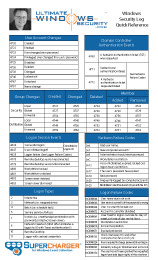 Windows logs this event when a process enumerates the members of the specified local group on that computer. In the example below RandyFranklinSmith (an Azure AD account) used Computer Management (mmc.exe) to open the local group Users to view its members. That triggered the event. But the same event is logged by other methods such as "net local group". This event has not yet been tested on a domain controller or on a domain joined PC. But MS says "This event doesn't generate when group members were enumerated using Active Directory Users and Computers snap-in." This is the group whose membership was enumerated. A security-enabled local group membership was enumerated.